Relocating to a new industrial plant, warehouse, or other facility? A relocation can be a major event for nearly any type of business, and the process can bring a wide range of risks. Your equipment could be damaged during packaging or in transit. Parts and components could get lost somewhere in the process. The relocation could disrupt your normal business. Fortunately, you can minimize these risks and hit your objectives if you have a detailed and comprehensive relocation plan in place. Planning can eliminate some of the toughest relocation challenges. 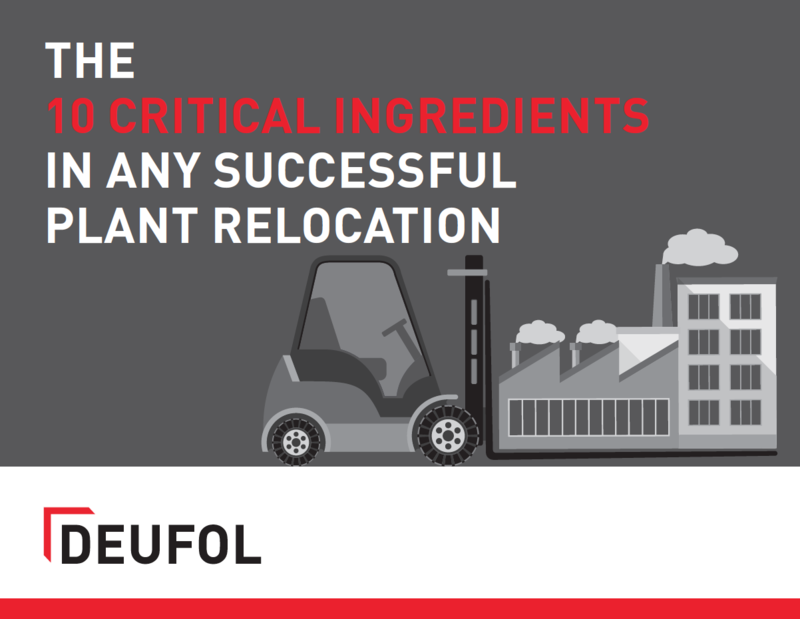 Download our industrial plant relocation guide to get all 10 steps. Download our industrial plant relocation guide.